Inspired by a love of naturally occurring geometries and the interpretation of these patterns in mid-century design. If you like something a little bit edgy then this is the collection for you! 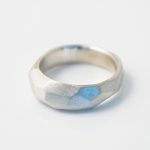 A narrower version of the very popular silver chunky Flint ring. 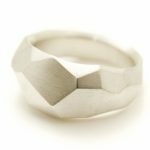 This narrow silver geometric ring, inspired by flint, has an almost boulder appearance. It's finished with a matt texture. A really unusual and almost bolder like ring. 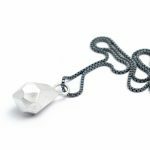 It forms part of Alice's new 'Flint' collection, which is inspired by naturally occuring geometries and a love of mid century design. 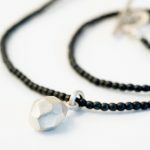 A long stylish necklace made from a 6ocm row of gorgeous matt black Haematite beads with a chunky solid silver 'Flint' drop. Its contemporary, unusual and very wearable! 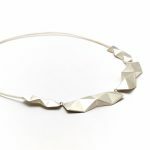 A unique contemporary neckpiece with hand-folded silver sections. 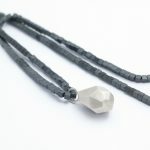 Definitely a little more 'edgy', but if you like geometry then this could be your necklace. It combines stylish simplicity whilst managing to make a bit of a statement, but not a loud one. A simple cuff with lovely 'Flint' inspired nugget ends. 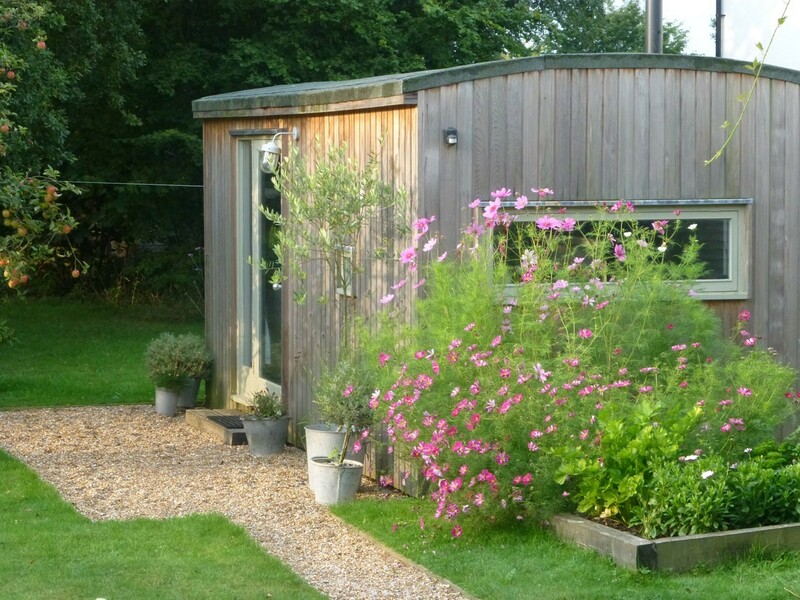 Fits all sizes and is really stylish. 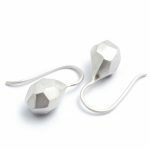 This gorgeous pair of solid silver 'chunky' drop earrings was inspired by 'Flint' and other naturally occurring geometries. 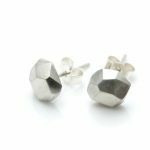 These earrings form part of Alice's new collection, 'Flint' and look great on their own or worn with one of the other pieces in the 'Flint' collection. 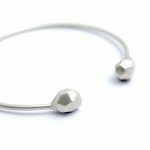 Simple geometric shapes and solid in construction, these very wearable earrings are beautifully weighty and effortlessly elegant. 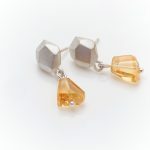 This great pair of earrings really have become one of my new favourites! 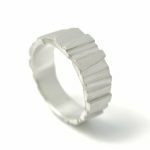 An unusual unisex silver ring made up of a series of flint and wood inspired sections. This ring has a matt finish.